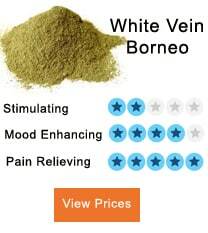 Are you searching for the best way to quit or reduce kratom intake without suffering from withdrawal symptoms? It’s possible for kratom users to stop using it without necessarily having to suffer. In this kratom taper guide, we’ll look at the best ways on how to stop using this product. Several reasons will make you want to taper. They include the need to reduce the number of kratom chemicals in your body, stop using it without experiencing the adverse side effects or minimize the amount of kratom you take for you to get the desired effects. 2 How Does Tapering Kratom Work? When someone consumes kratom for a long time, their body system adapts and become tolerant to this product. As time goes by, the person will experience fewer effects when they stick to the same dose. To get the desired effects, the long-term user will need to increase his or her dose. The more kratom the user takes, the more their body adapts to its presence, and over time, the body gets used to having lots of this product in its system. When they eventually decide to stop using kratom for a while, the body becomes aware that the kratom chemicals are no longer in the system, leading to withdrawal symptoms. 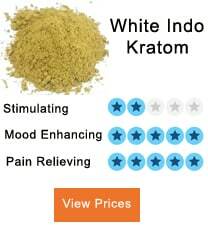 The best solution to this problem is using the best kratom taper plan. How Does Tapering Kratom Work? Tapering kratom means weaning yourself slowly from using kratom. Remember that for you to get to the stage where you need large doses of this product to get the desired effects, you start by slowly increasing your dose. To stop using it, you’ll need to gradually reduce the dose you take until you reach the stage you want. You need to know the amount of kratom you take daily and the first step to understanding it is by measuring your usage. The most accurate and scientifically recommended way of measuring kratom is by using a digital weighing scale. Alternatively, you can use a measuring spoon if you consume one brand and strain of kratom. However, you should realize that the powder density matters and some spoons are denser than others. If you want to reduce your daily dose, using measuring spoons may present you with problems. When it comes to tapering plan, the process is simple. Among the things, you need to know is the amount of kratom you’re taking, the duration you plan to quit and the dose you intend to be taking in the future. The best advice we can give when reducing your daily dose is to cut it by 0.5 grams every 48 hours. For you to achieve complete kratom taper success, you will need to make sure you’re accountable to someone. If you choose to keep your plan a secret, you may fall off this plan, leading to you being addicted to this product. You don’t want this, meaning finding somebody to confide in may be the best way for you to taper your dose. Now that you have carried out the above steps, it’s now time to put your plans into action. 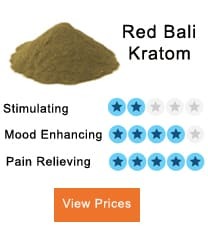 The important thing to know when implementing your idea is that kratom strains will offer you the desired effects for an average of six hours. That means after 6-9 hours, these effects will wear off, and it’s the reason why you need to break your daily doses into quarters, half’s or thirds. These steps are simple, and it’s why this plan is extremely useful. You can choose to wean yourself from using kratom by opting for other options, but they have their downsides. If you choose not to measure kratom doses, you may fail to reduce your daily intake since all you will rely on is self-control and your will. Since we are human beings, the tendency to slip back to taking high doses is real. 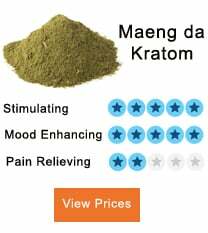 One thing that makes kratom users increase their doses over time is the time they spend thinking on the right dosage to use and get the desired effects. By pre-measuring, all you need to do is take out the container, open it and use the product. On online forums, many users ask what’s the best option between kratom taper vs. cold turkey as ways of quitting kratom. 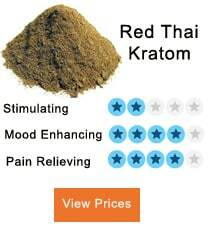 Tapering kratom is a much better way of dealing with kratom dependence. Long-term users develop kratom dependency since this product contains alkaloids, which work on the opioid receptors on the brain. If you suddenly stop these chemicals from going to the brain by going cold turkey, the brain will respond by giving you severe withdrawal symptoms since you will have interrupted with the flow of the external stimuli it has been receiving. If you want to reduce or avoid these withdrawal symptoms, you should consider taping, which enables gives you the chance to enjoy a painless withdrawal. Is Quitting Kratom Use When In The Middle Of A Taper Plan a Good Idea? Many tapering methods talk about the kratom taper jump off point. It refers to the point where you have reduced your daily kratom intake to the extent that you can quit it entirely and handle any withdrawal symptoms. Some users may be able to jump off, while some may relapse and go back to taking the large doses you were making before the taper. If you’re worried about relapsing, you should taper until you go down to zero. It enables you to avoid worrying about withdrawal symptoms that may arise from quitting kratom while your body still has tolerance. With this guide, you now have the best information on what kratom tapering is. 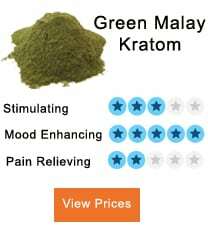 You should realize that kratom is not a bad product. Just as with many products, its benefits outweigh its downsides, and like other products, which are consumed, you should do it with moderation. What You Need To Know About Kratom And Pregnancy?